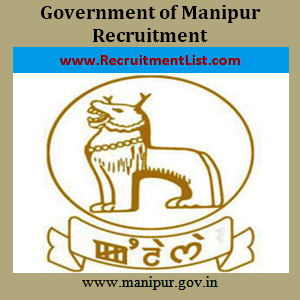 Government of Manipur Recruitment 2016 – Apply for 191 Assistant, Driver, Peon, Chowkidar & Other Positions. The Agricultural Department at the Government of Manipur has come up with a new employment notification for the job seekers who have registered at employment exchange. This notification reveals the presence of vacancies below the Assistant, Driver, Mechanic, Peon and Other Posts. Seekers who are eagerly waiting for job vacancy after registering in the employment exchange are advised to apply for these positions. The number of vacancies displayed on the table can be increased or decreased with subject to official requirements. Individuals with Matriculation level qualification are also eligible to apply for these posts. To attain these designations, applicants should come across the written exam, skill test and interview conducted by Manipur government. The qualified candidates shall be provisionally designated at the Agricultural Department in Manipur. Interested aspirants may submit your application to the concern employment exchange on the dates given below. A Graduate who has persuaded a course on Computer concepts namely, DOS, Windows, MS Office, Multimedia, Internet, etc from a reputed university are eligible to apply for Office Assistant post. Candidates who have passed 12th examination or P.U. Science from a well known Board or University or B.Sc Degree in Agriculture or Biology or Zoology are suitable for Field Assistant & Reporter position. Individuals who are applying for the Mechanic, Driver, Handyman and Photographer post should have passed 10th Examination and must hold a course certificate or license in their related field. For the rest of the positions, the applicants should have qualified in10th standard examination from an accredited Board. The selection Schemes includes written test, Skill test and viva voice. The applications received from the suppliants shall be verified by the selection committees and the suitable person will be invited for various recruitment processes. Candidates who have applied for the Office assistant post should qualify in the written test, computer skill test and viva voice test. For the field assistant post, the appliers should overcome the written test and personal interview. Yet, there won’t be any written test for the remaining posts. In case of Driver and Handyman post, the applicants should qualify in driving test followed by viva voice test. Contenders who qualify in their concern tests will be added to the empanelment list. The written examination consists of multiple choice questions from the sections of General Knowledge (50 Marks) and General English (50 marks) in case of office & Filed assistant posts. The marks allotted for the Computer skill test is 30 and 20 marks for the viva-voice test. The appointments are only for a temporary period, which could be extended further in accordance with the performance of the appointees. During this tenure, the person who is serving as Sl.No. 1 to 6 Posts will get remuneration as per the pay scale of Rs.5200 to 20200/- per month with grade pay of Rs.1900/- respectively. For the other positions, the designees shall get paid as per the pay scale of Rs.4440 to 7440/- per month with grade pay between Rs.1300 to 1400/-, complying with the existing rules of Manipur Government. Desirous candidates who fulfill the standards of Manipur Government can get the prescribed application form from their respective employment exchange office. Fill the form duly and enclose the necessary documents in support of qualification, age, caste, etc. Keep the completed form and documents in an envelope with the post name inscribed on the top and submit at the Employment exchange office on or before the final date.